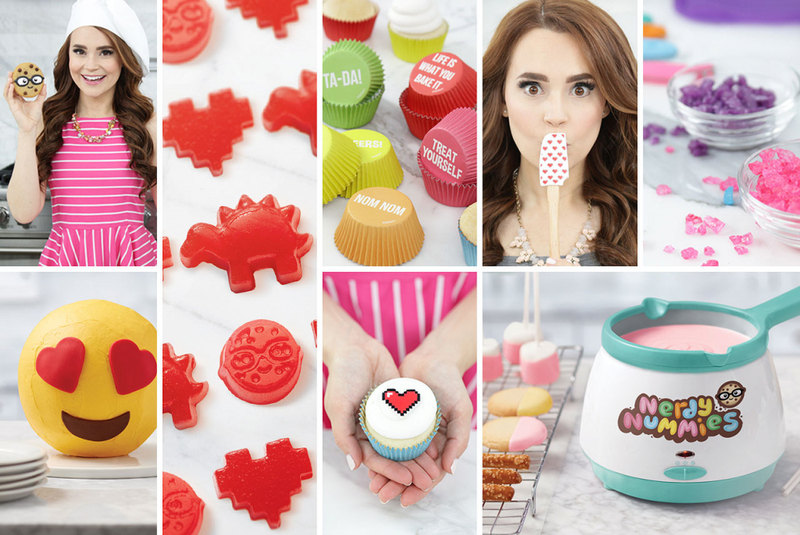 Rosanna Pansino Just Announced Her Very First Baking Line | YAYOMG! 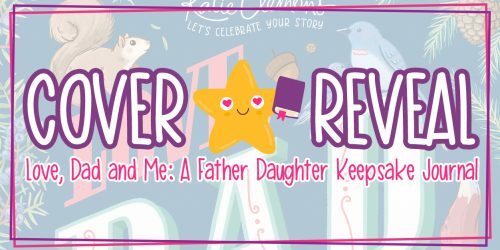 Aspiring bakers and lovers of all things cute and nerdy – get excited! 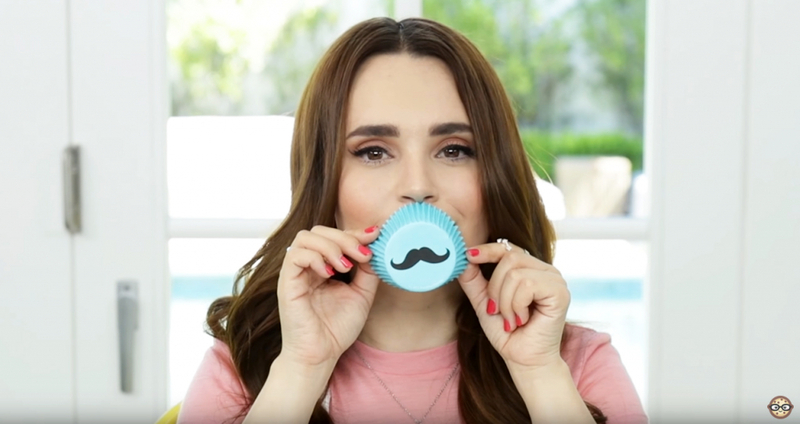 Rosanna Pansino has just announced her very own baking line! 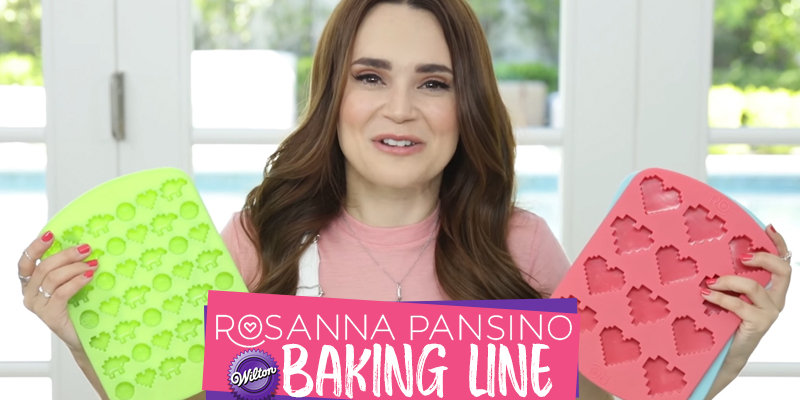 Rosanna teamed up with Wilton, one of the leading baking brands, to put out a line of kitchen tools, baking supplies, and other amazing products you guys are going to love. Her new line is called Ro and it will be hitting Michael’s and Jo-Ann Fabric & Crafts this August. Rosanna posted a video on her YouTube channel announcing the line and showing off some of the super cute products you can expect. You can check it out here. 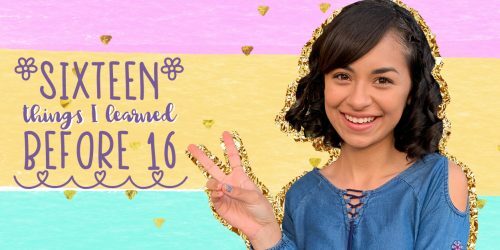 If you’re a fan of her cooking show, Nerdy Nummies, you already know how much Ro loves everything geeky. From her amazing Super Mario inspired cake that started it all to her more recent Power Rangers cookies, Ro has been putting a creative spin on baking since 2011. She’s inspired kids and adults of all ages to get into baking. The proof? Every time she appears at an event or signing, there’s always hundreds of fans lined up to meet her! Her first cookbook, Nerdy Nummies, came out in 2015 and it was huge success so we’re sure her baking line is destined for greatness as well. By teaming up with Wilton to create these baking products, she’s hoping to inspire even more people to get their bake on and have fun with food. 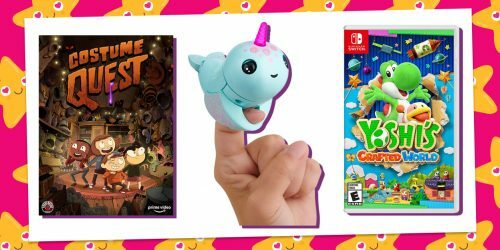 The Ro line will include spatulas and candy molds with pixel hearts and other digital designs, adorably geeky cookie cutters, colorful mixing bowls, cupcake wrappers, sprinkle mixes, and more. 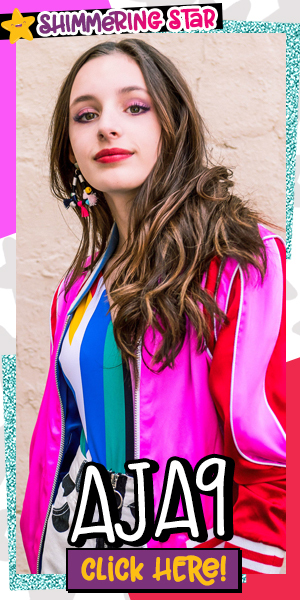 Rosanna will also put out her own flavors of the popular Wilton Candy Melts and what looks like a Nerdy Nummies themed melting pot so you do all your melting in style. Even if you’re not a fan of Ro or her show, anyone looking to add a little colorful flair and fun to their kitchen will totally love this line. We know that a lot of our YAYOMG! readers and young girls all over the world just LOVE Rosanna and Nerdy Nummies, so we’ll keep you guys posted as more news is released. We’ll definitely be picking up these products this Summer so we can give you guys a nice rundown and pics of everything in the line. Until then, keep an eye on Ro’s YouTube channel and social accounts for more info (and hopefully more sneak peeks) into her new baking line. Obsessed with baking like Ro? You need to check out these 7 Delicious Reads!